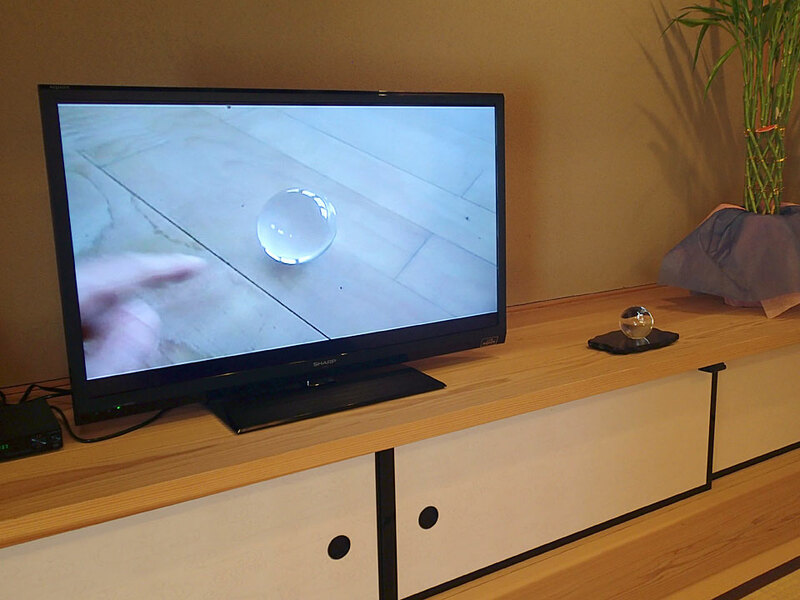 wood, paint, computer, speaker, glass ball, photography, diffusion paper,etc. 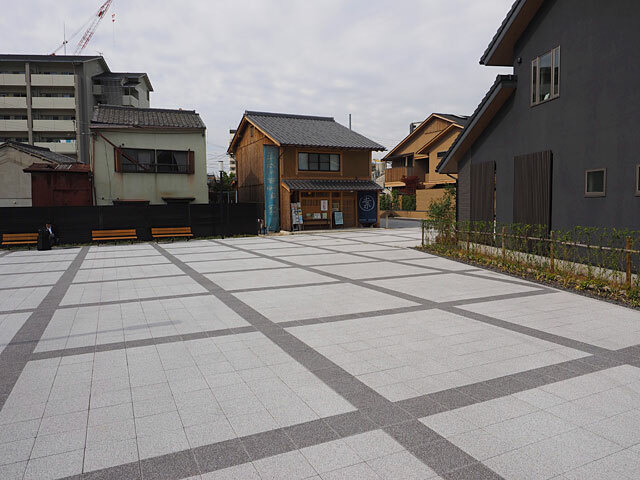 The site of Heisei-Kyomachiya model houses (KYOMO) was planned along the former Takase river. 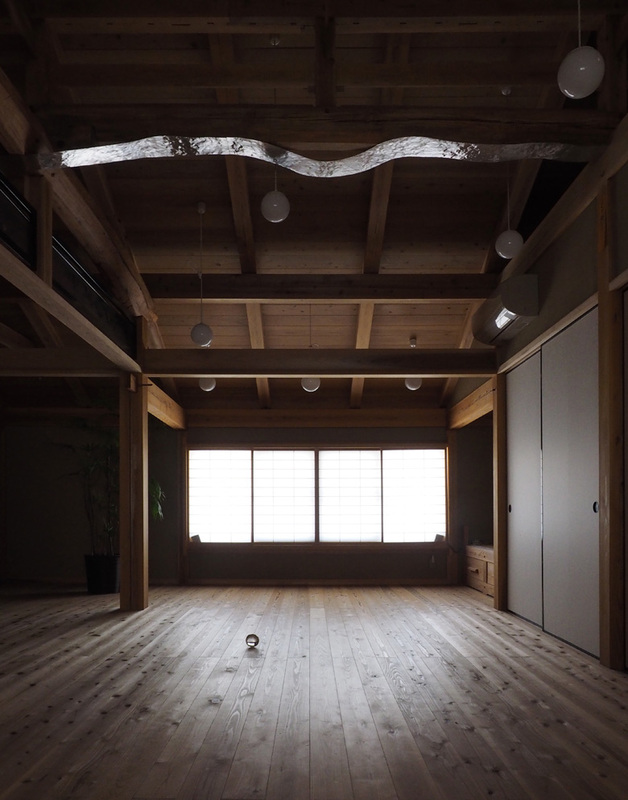 At the second floor of Center-House, an aluminium river floats at the same direction of the former Takase river. 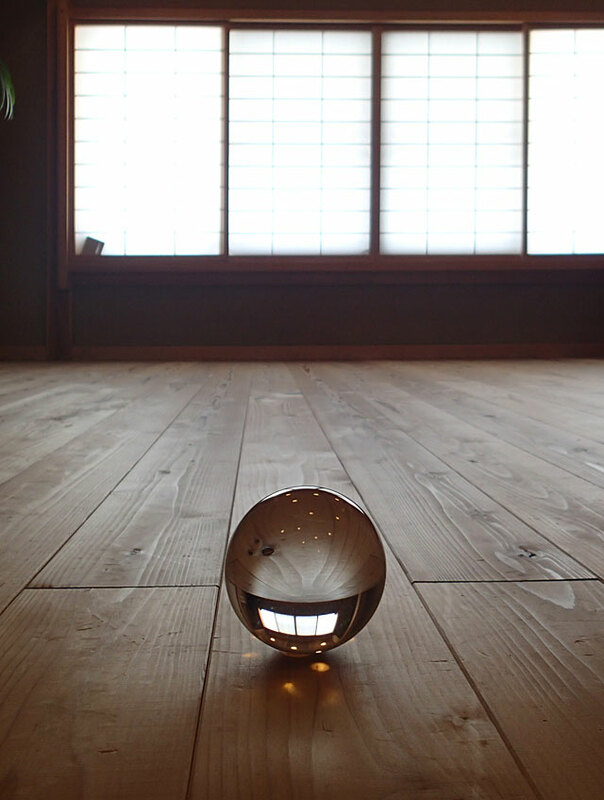 A glass ball is placed on the floor, which one can roll softly and watch its unexpected movement as in the classroom of former Suujin Elementary School. 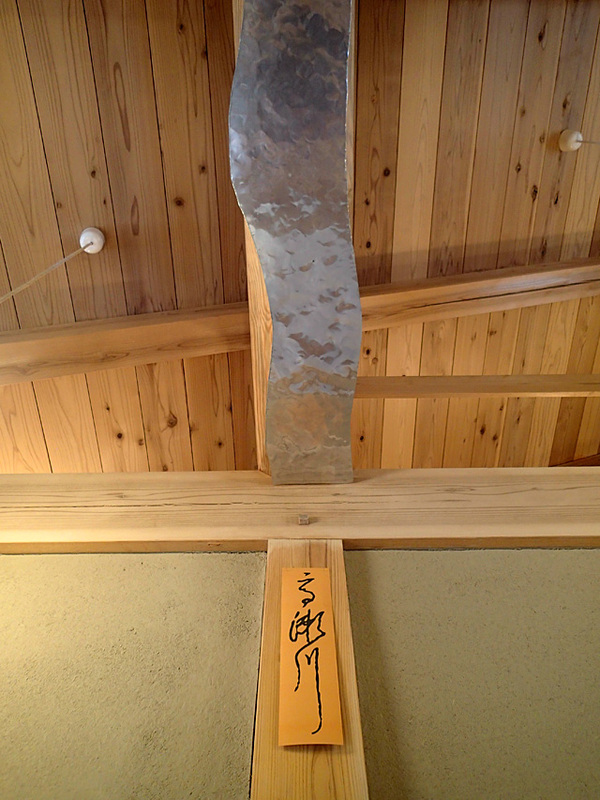 And one can hear the sound of the classroom which is transmitted to here by internet. 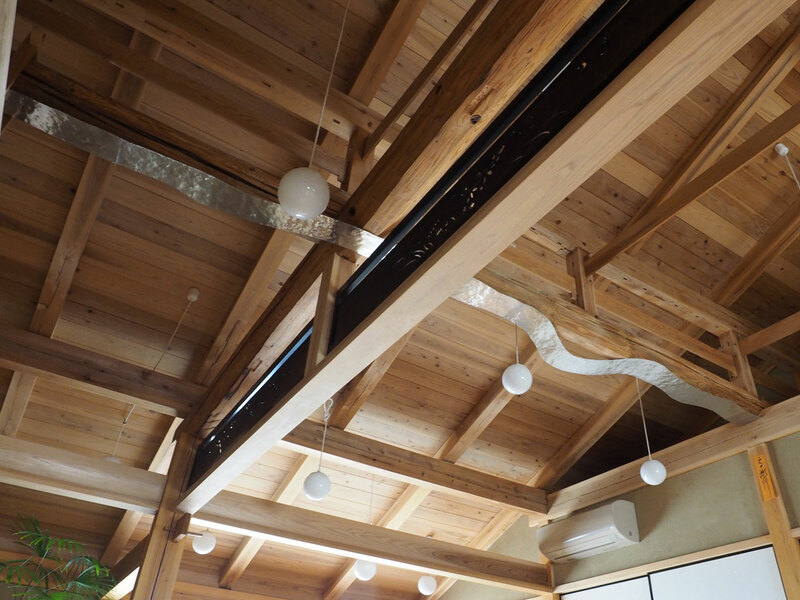 On the monitor at the first floor, one can see the unexpected movement of the rolling glass ball on the floor of the classroom.